showroom was inaugurated by Michael Perschke, Head, Audi India and Rashy Todd, Managing Director, Audi Delhi Central (Zenica Cars India Pvt. Ltd.). "The opening of our third showroom in New Delhi reiterates our commitment to the Northern region. Audi Delhi Central, based on an unconventional Lounge concept, is designed to give our customers in Delhi an unparalleled luxury experience that truly reflects our core brand values–sporty, progressive and sophisticated. This new retail format brings us even closer to our customers in Delhi - geographically as well as in terms of the quality of our relationship. We are happy to extend our association with Zenica Cars, who are our partners in Gurgaon, also our first partner in the NCR in 2007, and who have been instrumental in our success in the region. This step will further consolidate our leadership in New Delhi and the Northern region," said Michael Perschke. Audi Delhi Central features a progressive Lounge set-up with informal seating, video walls and state-of-the-art interiors, lighting and technology. Several elements like the specially designed and imported quartz flooring are the first of their kind in India. Spread over a total area of 6,315 sq ft Audi Delhi Central sports the signature Audi honeycomb aluminum facade on the exterior. With a display area of 6 cars, the showroom will also house the Audi Shop and Audi Exclusive elements where customers can customise their cars and purchase exclusive Audi Merchandise. 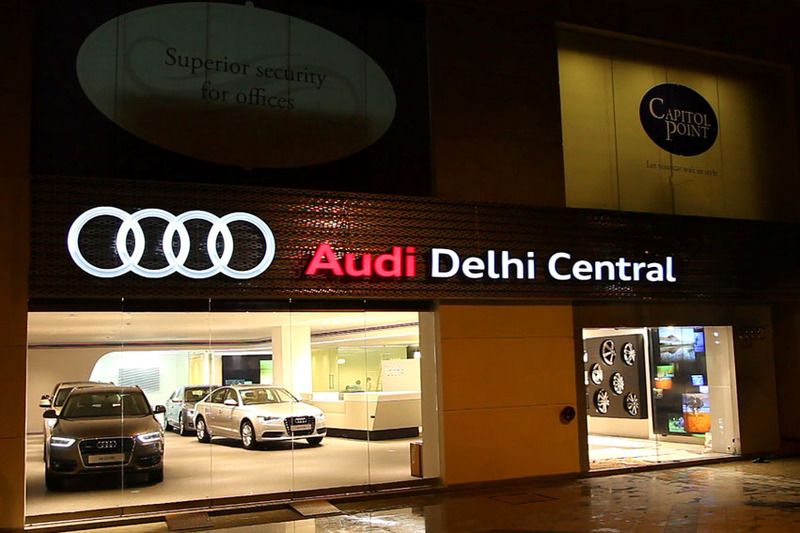 "For Audi fans, looking for the ultimate luxury vehicles, purchasing an Audi at Audi Delhi Central will be an experience at par with global standards. Every element in the showroom comes together to give the customer atrue experience of the brand. People are placing greater emphasis than ever before on a direct and personal connect with their vehicle brand and the team at Audi Delhi Central is committed to offering the same," said Rashy Todd. Posted in: Asia Pacific,Audi,Audi Delhi Central,India,Luxury,Michael Perschke,New Delhi,New Store/Showroom,Rashy Todd,Zenica Cars India Pvt. Ltd.